Mary L. Topliff has specialized in employment law counseling, training and compliance for over 20 years. Ms. Topliff regularly advises business owners and human resources professionals on all aspects of workplace issues with the goal of preventing costly disputes. She frequently conducts wage and hour audits, workplace investigations and provides post-investigation consulting services. Ms. Topliff also negotiates employment and separation agreements for executives. Ms. Topliff is a frequent speaker and author on practical applications of workplace legal issues. She publishes the Workplace Wave, with articles on recent legal and legislative developments. Ms. Topliff serves on the Editorial Review Board for the State Bar of California’s Labor and Employment Law Review. She served as an adjunct faculty member with San Francisco State University’s College of Extended Learning from 1999-2008. 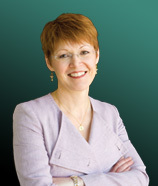 Ms. Topliff has been admitted to the California State Bar since 1988. She received her Juris Doctorate from The Ohio State University Moritz College of Law in 1988 and her Bachelor of Science in Business Administration with an emphasis on Human Resource Management from Bowling Green State University in 1982. Prior to attending law school, Ms. Topliff was a human resources practitioner for the United States Court of Appeals for the Tenth Circuit.